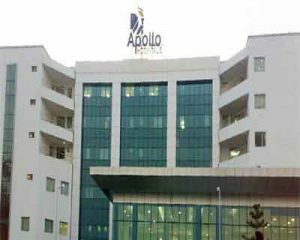 Hyderabad: Apollo Hospitals, Hyderabad, announced the launch of Heart Failure Clinic, the first and only one of its kind in the country and a help line for heart failure patients – 91000 70000 at Apollo Hospitals, Hyderabad. Dr A G K Gokhale, consultant cardiothoracic, transplant surgeon and Dr Jayakeerthi Y. Rao, consultant heart failure specialist & Dr Vijay Dikshit, senior consultant CT surgeon; disclosed the functioning of a dedicated heart failure clinic at the hospital at a press conference organised on the eve of World Heart Day – 29th September, 2016. Heart Failure, a condition in which a weakened heart has trouble pumping enough blood throughout the body, is acquiring epidemic proportions in India, off late. However it doesn’t imply complete cessation of heart functioning, but a lack of adequate supply of oxygen and nutrients to meet the body’s requirements. This results in reduced quality of life, frequent hospitalization and high mortality. Heart Failure (HF) is a chronic and progressive condition that can be managed but sometimes cured. The recent advances in technology, drug discovery and advances in surgery, aid in effectively managing the condition, besides significantly improving the quality of life of the patient. Treatment coupled with appropriate lifestyle modifications can help in arresting the progression of the disease. Hence early diagnosis and treatment is of prime importance. The alarming rise in the incidence of heart failure especially amongst the younger population of our country needs to be curbed, as the overall consequences of it can be catastrophic. Educating the populace on the necessary lifestyle modifications is the way forward, says Dr A G K Gokhale. India has to do a lot to reduce the burden of heart failure and also provide curative and rehabilitative services to these patients, which is a huge challenge, he added. The estimated prevalence of Heart Failure in India is 4.85 million, with five lakh patients adding on every year to this number. The disease onset here is a decade earlier than western patients, with 45% of Heart Failure patients being less than 60 years of age. The increase in the prevalence of Heart Failure is further underscored by the recent observation of up to 40% of patients with heart failure having normal left ventricular function. HF is also the cause for high mortality and readmission rates, which is twice of all admissions for cancers. Studies also indicate that the frequency of sudden death was much higher during the first 14 days after admission, as much as 70% of all deaths. The disease burden in the two Telugu states is on the rise and they alone account for 40,000 new Heart Failure cases per annum. A dedicated heart failure clinic is the need of the hour to monitor and manage the condition effectively. Apollo’s repository of knowledge in treating a large base heart failure patients and the tried and tested protocols in place, aid in reassuring the patients and improving their quality of life, said Dr Jayakeerthi Y. Rao. The epidemics of diabetes, hypertension and ischemic heart disease is giving rise to a steady increase in incidence of heart failures, he pointed out. We want to be part of the prevention strategy and help to deal with this problem, he added. The reasons of heart failure could be damage to the heart muscle caused by coronary artery disease or too much strain on the heart because of years of untreated high blood pressure or an abnormal heart valve. The typical symptoms of a heart failure are difficulty in breathing, chronic cough, swollen ankles, legs and abdomen, weight gain, frequent urination during night, loss of appetite, fatigue, weakness, rapid or irregular heartbeats, patients often experience a pounding sensation in the chest. Minor lifestyle modifications like consuming healthy diet, regular exercise, monitoring & controlling hypertension, limiting salt consumption, reducing stress, give up smoking, tobacco chewing and drinking alcohol, can go a long way in the prevention and arresting of heart failure. According to Dr Vijay Dikshit, senior consultant CT surgeon, heart failure is an advance condition of any heart disease as heart diseases are increasing in India every year so as the heart failure. The population above 60 years is increasing therefore end stage heart failure is also at the rapid raise. It is a difficult condition to treat, but with advances in medical field there are many other treatment options available like heart transplantation which is increasingly done in our country. Now there are other mechanical devises like LAVD (left ventricular assist device) TAH (total articular heart) pace makers (CRT) available and can help the patients at large to overcome the problem.